Let’s face it: Valentine’s Day sometimes gets a bad wrap for being a holiday invented by candy corporations. And while there’s probably some truth to that, it’s also a nice excuse to make your loved ones feel special for a day. In my opinion, the best way to avoid falling into the “Hallmark holiday” trap is to craft your own card. 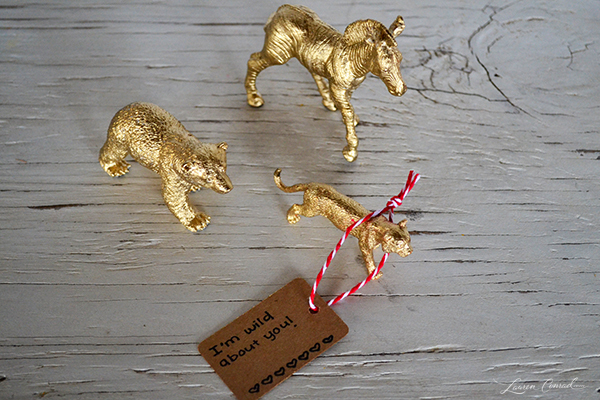 So as Team LC’s resident crafter, today I’m sharing an easy and adorable DIY Valentine. Paint your plastic animal and let dry completely. 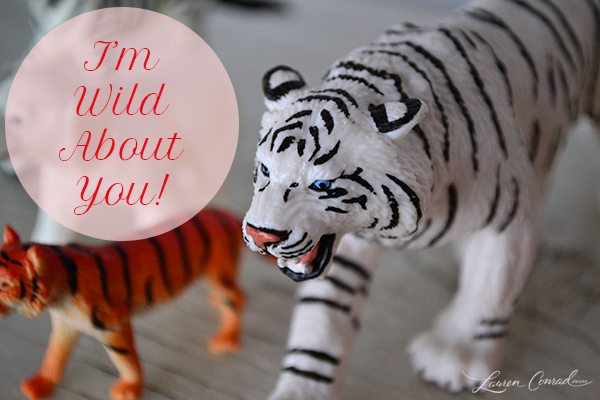 Write ‘I’m wild about you’ on your gift tag and decorate however else you see fit. I chose to use a Valentine’s Day stamp on the back. Tie the gift tag on using twine, and give this Valentine to someone special.